You may have noticed the book was dedicated to Kaylee, Max, and Alyssa. Not only was it dedicated to them, they make an appearance in the book! Did you see them? 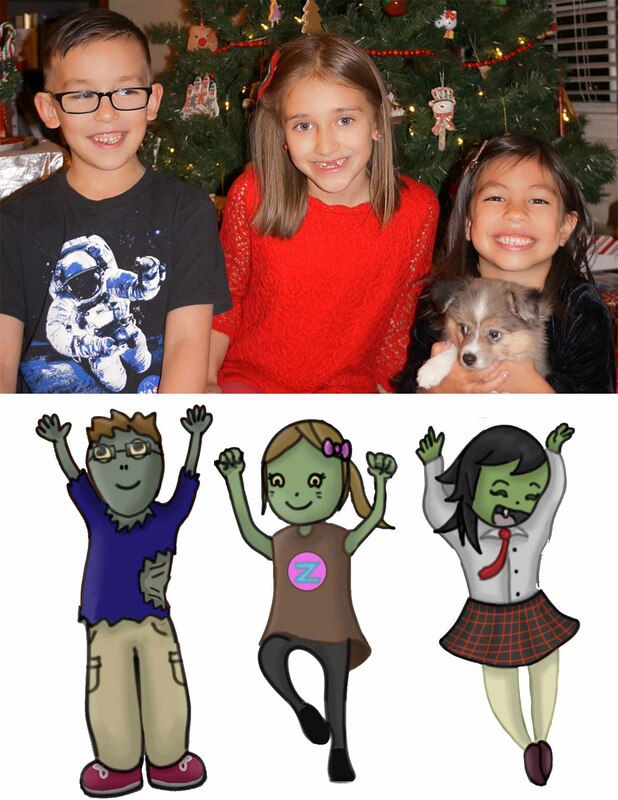 Here is a picture of them in real life and as zombies! Wondering what my next monster adventure might be? Hints were left in the books for my readers to find. 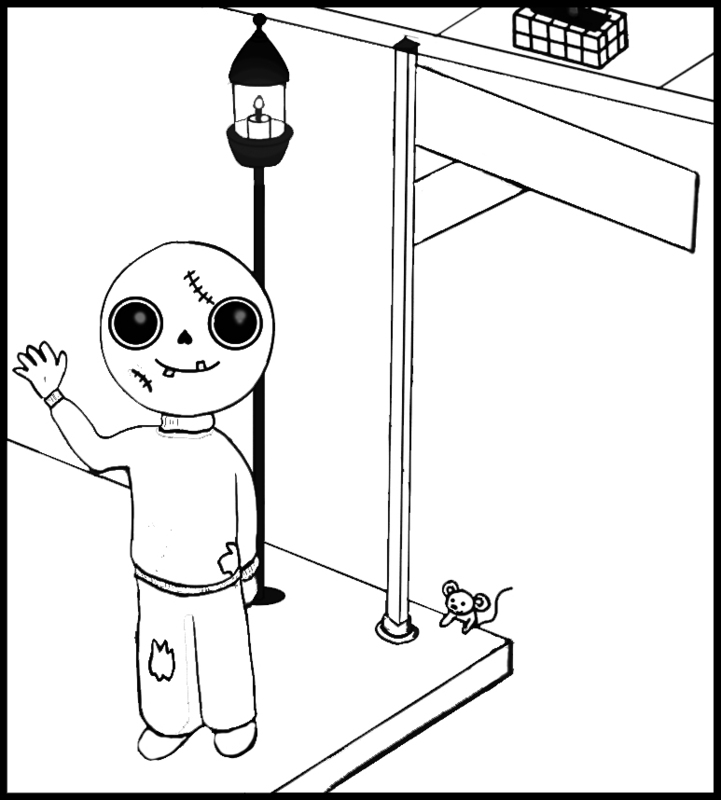 Take a look at the pictures inside the book and see if you might be able to figure it out. Happy hunting!